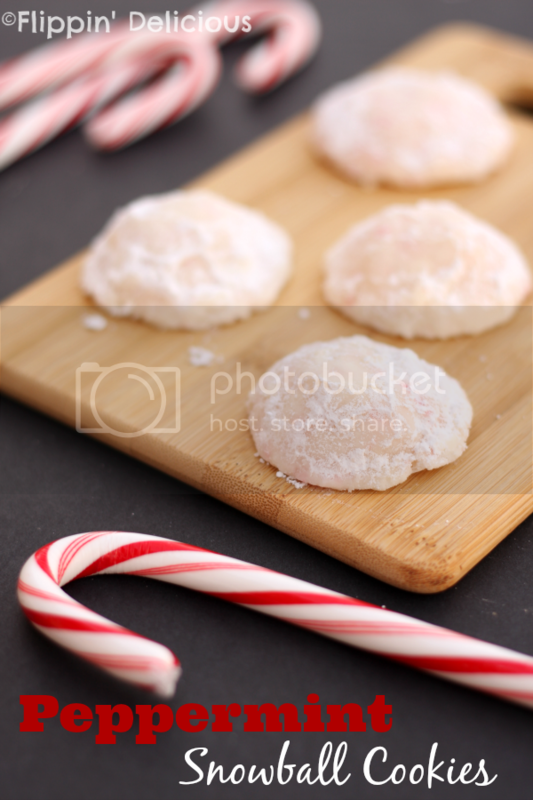 Gluten-Free Peppermint Snowball Cookies are buttery, crisp peppermint cookies with crushed candy canes inside all rolled in sweet powdered sugar. Perfect for the Holidays! I have a special place for Snowball Cookies in my stomach. Whatever you call them, Snowball Cookies, Mexican Wedding Cookies, Russian Teacakes. I remember making them with my mom, just like she made them with her mom. I still remember standing on a a chair in our tiny kitchen in our town house, the first home that I remember. I remember my mom helping me to roll the still hot cookies in powdered sugar, being careful to not burn our fingers. I took my mom’s traditional Snowball Cookie recipe, but instead of adding chopped nuts like I normally do, crushed some candy canes and mixed them in. The results are buttery sweet cookies with a bright peppermint flavor. 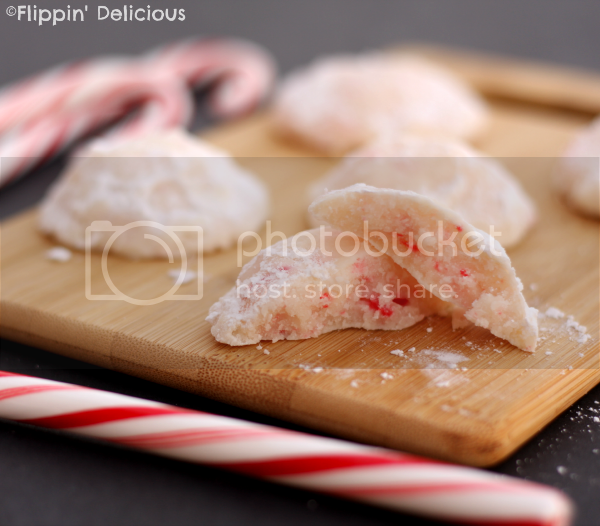 The crushed candy canes soften when they are baked into the cookies and they add a pleasant chewy-crunch to each bite. I originally made these cookies to mail to some food blogging friends as a part of the Food Blogger Cookie Swap, but when they first came out of the oven I was afraid they would crumble during shipment, so I made Gingerbread Chocolate Chip Cookies instead. I should have just sent the Peppermint Snowballs as I had planned. I think they held up much better over the week. They are still just a soft and buttery as right after I made them and haven’t dried out at all. And they didn’t get crumbly like I thought they would. 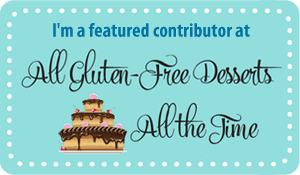 These gluten-free peppermint snowball cookies are really kinda amazing! I wouldn’t lie to you, but you don’t have to take my word for it. I shared some with my mom and got a text from her after she had tried them. “Your cookies were SO good! Your version of snowball cookies are a new favorite!” So, listen to my mom and bake up a batch. 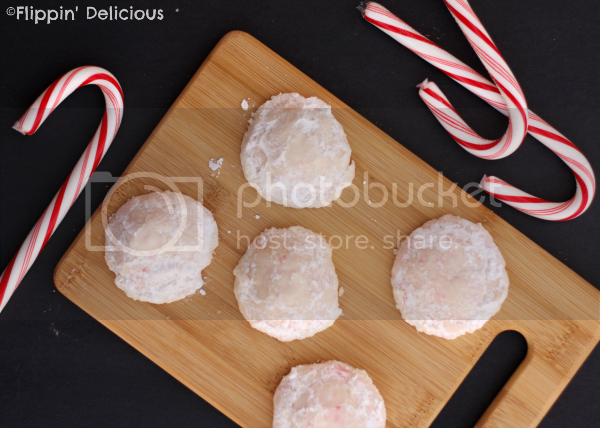 Gluten-Free Peppermint Snowball Cookies just might be your new favorite too! 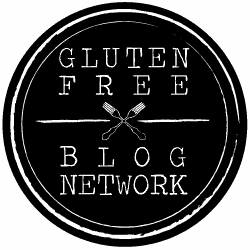 My gluten-free rice flour blend is HERE. Add the salt, xanthan gum, and peppermint extract. Add the peppermint extract a ¼ teaspoon at a time and then taste, it is strong stuff and you don't want to end up with toothpaste flavored cookies. Mix in the flour and the crushed candy canes. Scoop the dough into 1½ tablespoon portions (I used my medium-sized cookie scoop.) Roll each portion into a smooth ball and chill in the freezer until solid. approx 1 hour. Line a baking sheet with a silicone baking mat or parchment paper, and preheat the oven to 350F. Place the chilled balls of dough 2-3 inches apart and bake for 12 minutes, or until the cookies lose their doughy shine and spread slightly.They will be very soft if you touch them but will set as they cool. While the cookies are still warm, but have cooled enough to set, roll them in the additional powdered sugar and then let them cool completely. Store in an airtight container at room temperature, placing wax paper or parchment paper between the layers of cookies. No problem. Your entry was the most popular last week, so we’ll be highlighting it this week! I saw another recipe where the candy cane was sandwiched in between to cookies. I like this a little bit better as there’s less cookie and more of a crunch, I would imagine, in the middle as you’re biting a single cookie.